panic room : home safe? This is an unofficial fan site, no copyright infringement is intended or implied. 05.06.02 :: Jodie was voted one of People Magazine's 50 Most Beautiful. CBS, Turner have view to "Room" (Reuters); "Panic" spreads at foreign box office (Reuters); 'Panic' takes hold overseas as 'Ice' continues hot streak (Hollywood Reporter). 04.08.02 :: More articles: 'Panic' locks out intruders; 'Crimes' hot (Hollywood Reporter); 'Panic Room' hangs on to top box office spot (Reuters); 'Panic Room' Still Tops Box Office (Associated Press); "High Crimes" Can't Top "Panic" (E! Online); 'Panic Room' Hangs on to Top Box-Office Spot (Reuters); 'Panic Room' Still Tops Box Office (Associated Press); 'Panic Room' with Jodie Foster holds top box-office spot for second weekend (Associated Press). 04.06.02 :: davidfincher.net was relaunched, and has a ton of great info. More articles: Whitaker Chooses Roles Artistically (Associated Press); Dwight Yoakam Acts in 'Panic Room' (Associated Press); 'Panic Room' Tops Box Office (Associated Press); 'Panic Room' Scares Up Record Box-Office Traffic (Reuters); Weekend Movies: 'Panic,' 'Smoochy,' Two for Kids (Reuters). 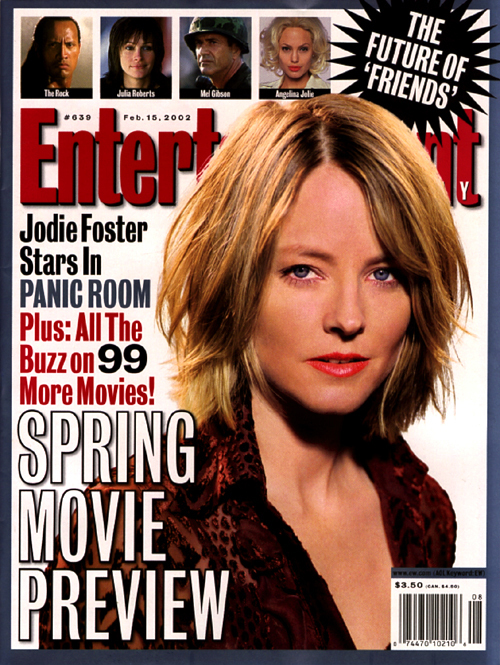 04.02.02 :: Articles galore: Foster packs viewers in for 'Panic Room' (Associated Press); "Panic" Time at the Movies (E! Online); Yoakam: Recording, Filmmaking Similar (Associated Press); 'Panic Room' Tops Box Office (Associated Press); 'Panic Room' Scares Up Record Box-Office Traffic (Reuters). 03.31.02 :: Added clip of Jodie on Tonight Show with Jay Leno, and some other video appearances from the past few days; Added clip of Jodie on The Rosie O'Donnell Show to surveillance. New article on E! Movie Scoop with Anderson Jones: Planning a Home Invasion. 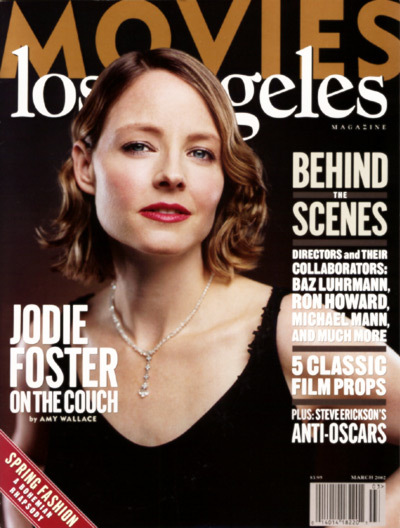 Good interviews with Jodie Foster and David Fincher at Cinema Confidential. Read the transcript of Jodie's 03.27.02 appearance on Larry King Live. 03.29.02 :: Panic Room Opens in North American theatres. Jodie Foster on The Rosie O'Donnell Show; Dwight Yoakam on Late, Late Show With Craig Kilborn; and E! 's Panic Room: Behind The Scenes Look airs (through the 31st). 03.27.02 :: Jodie Foster on Larry King Live. Dwight Yoakam on The Tonight Show with Jay Leno. Whole lotta new videos added to surveillance. 03.25.02 :: Articles just keep popping up all over. Here are two more: Foster makes 'Room' for instinct (USA TODAY) and Dwight Yoakam Says 'Panic Room' Is One Frightening Thriller (Launch.com). 03.20.02 :: Added Extra interview (full) to surveillance, as well as two additional TV Spots. 03.18.02 :: Jodie Foster on Extra. 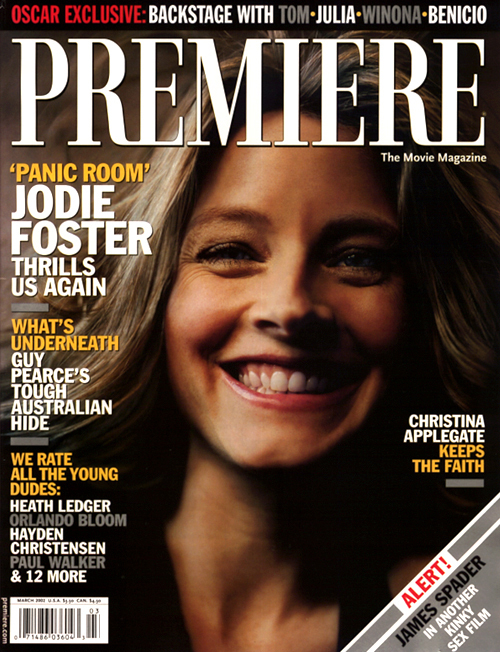 03.17.02 :: American Cinematographer cover story on Panic Room: "Panic Room Raises Pulse Rates" (visit site). Tons of new reviews appearing everywhere. Check these out (from AICN, pointed out by icolstad): Silvain dishes on Fincher's PANIC ROOM / MUAD DIB's PANIC ROOM Review!! / Two More PANIC ROOM Reviews!!. 02.20.02 :: 4 more pics added to surveillance. 02.12.02 :: More pics added to surveillance. 02.07.02 :: Release date pushed back again, this time from March 8th to the 29th. 01.10.02 :: Added quicktime version of the official trailer to Surveillance (trailer 02 below), and what appears to be an official poster. Also looks like the official site is up... kind'a. 01.07.02 :: Added link to WindowsMedia "Official" trailer. 02.02.01 :: Jodie Foster has officially accepted a $12 million offer to take over the lead from injured Nicole Kidman, according to Variety. 01.26.01 :: Just two weeks into filming, Nicole Kidman suffered a knee injury which forced her to drop out of the film under doctor's orders.